Austerity may be the economic buzzword of the moment, but as far as new music software is concerned, cutting back doesn't have to mean missing out. Here are seven recent releases that won't cost you a bean. There's always been a free version of the Paax software sampler, but now the full-on Pro version is available for nothing as well. This has many of the features you'd expect from a full-on commercial sampler, including 256 simultaneous voices, a multi-mode filter, advanced timestretching and pitchshifting and much more. Inspired by trackers but supposedly with fewer limitations, Radium is billed as a music editor and promises a "novel interface". 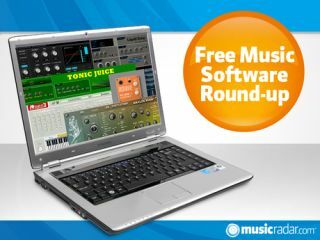 You can use an unlimited number of tracks and automate the likes of tempo, velocity and sound effects. It seems that there are now almost as many free compressors out there as there are chargeable ones, this one being the latest example. This is an RMS-based dynamic range compressor that's designed for summing/bus use and, refreshingly, it's "proudly digital" rather than any kind of analogue emulation. A warping and morphing effect that's "designed to deliver the clear, penetrating sounds favoured by live musicians". It's said to have uses for producers who work in all manner of different genres, though the LFO section was put in with dubstep folk very much in mind. Another effects-chain-in-one-plug-in from SonicXTC. This one comes with a chorus that can be used to help background tones to sit better in a mix, a flanger to give harmonically rich sounds more presence, and an envelope follower to provide more tonal interest and movement. The Orange Squeezer guitar compressor gets the emulation treatment here, though there are also additional controls for extra tweaking. Famed for its "smooth squish and sustain" the original '70s hardware was used by the likes of Mark Knopfler and Jeff Baxter. This processor enables you to modulate a delayed stereo signal with a flanger and filter (plus a filter LFO). Designed for experimentation, it's designed for producers of all kinds of electronic music.